Every year, at least a few different Star Wars fans manage to release hilarious Star Wars-themed gags. This year is no exception. The developers working on Star Wars: Old Republic released a profile of one of their new characters for the highly anticipated game. You can check out its profile by clicking here. Unfortunately for ThinkGeek, everyone thought exactly what you’re thinking: I want one! 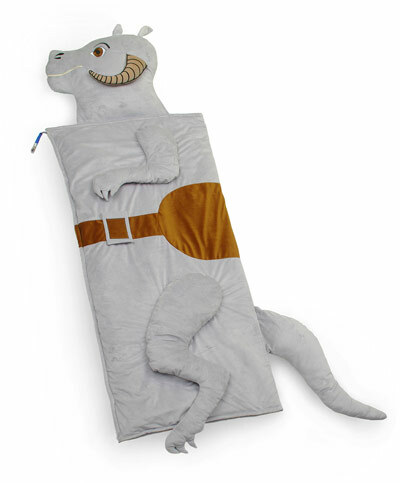 After receiving massive amounts of requests for the Star Wars sleep sack, ThinkGeek had no choice but to actually develop their prank. Today, the bag is on sale at ThinkGeek’s website for the small price of $99.99. It seems for dedicated Star Wars fans, anything is possible – even turning a ruse into reality.